The Friendly Neighbors Of El Paseo Turn A Day Of Shopping Into A Palm Desert Vacay. Conveniently situated in the center of the Coachella Valley, the crown jewel of Palm Desert enjoys proximity to renowned resorts, celebrated golf courses, performing arts venues, and picturesque drives along famous Highway 74 leading deep into the Santa Rosa and San Jacinto Mountains National Monument. Desert times call for desert animals. 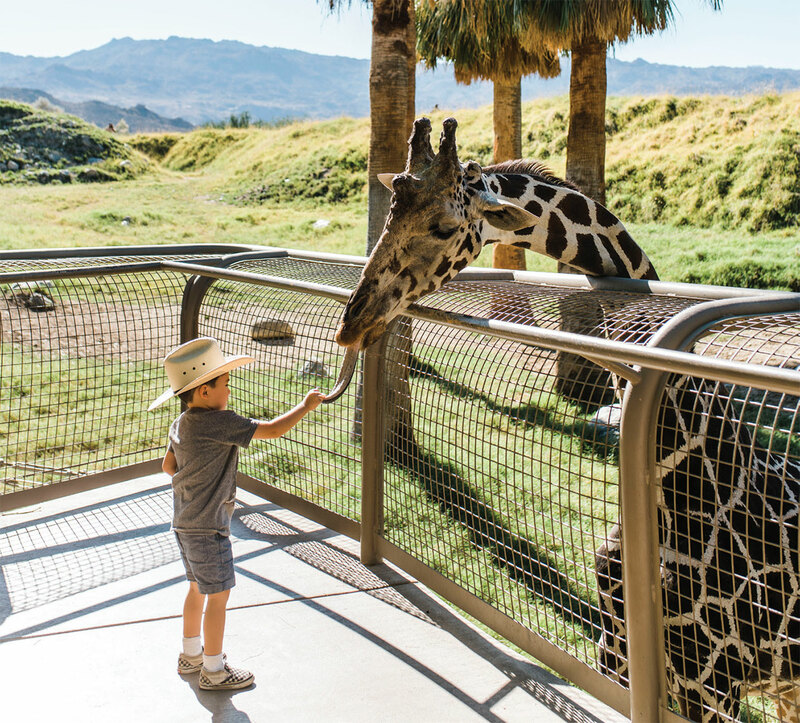 Feed a giraffe, meet a meerkat, ride a camel, or have a close encounter of the bird kind in an interactive lorikeet aviary, all at The Living Desert Zoo and Gardens. Within 5 miles of El Paseo, two resorts each manicure their own pair of award-winning championship golf courses. Tee off with the quintessential mountain backdrop at Desert Willow Golf Resort or Desert Springs Golf Club (the latter is located at JW Marriott Desert Springs Resort & Spa). World-class live entertainment at the McCallum Theatre promises something for everyone. Each season the stage welcomes an array of jazz, classical, Broadway, dance, comedy, tribute shows, holiday concerts, and fast-paced family entertainment. San Jacinto Mountains National Monument Visitor Center. Conquering the majestic curves up the scenic Palm to Pines Highway, aka Highway 74, affords changing vistas and photogenic lookout points. 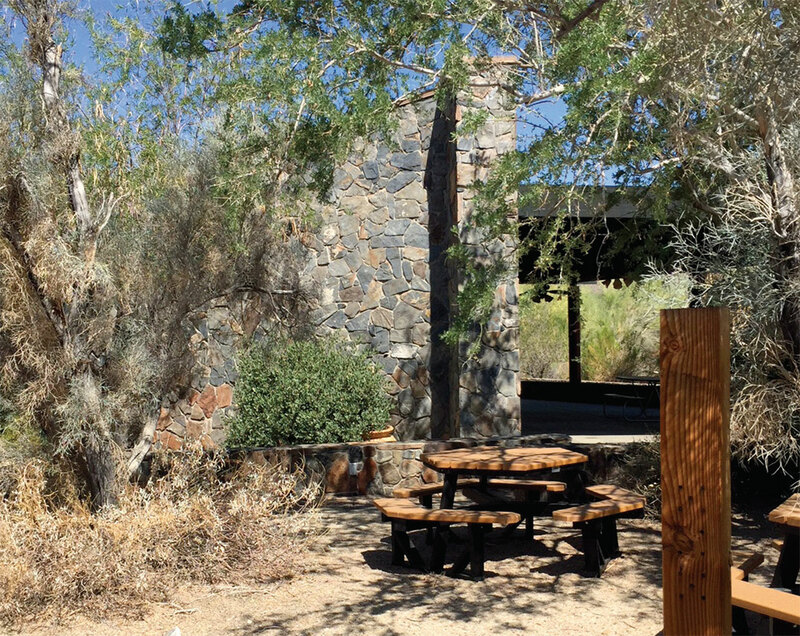 On your way, stop at the Santa Rosa and San Jacinto Mountains National Monument Visitor Center, where staff can suggest a nearby trail to meet your skill level and ambition. Or, just lose yourself in the views. Shaded sitting areas are surrounded by palms and native plants. Hours vary by season. 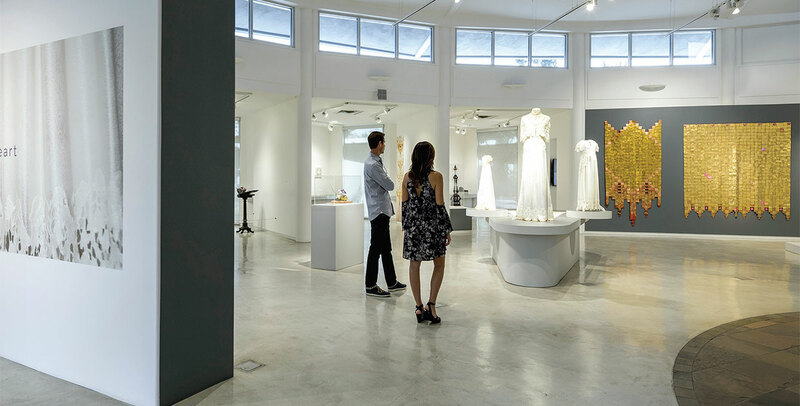 Palm Springs Art Museum in Palm Desert combines rotating contemporary art exhibitions in the galleries with the 4-acre Faye Sarkowsky Sculpture Garden. Track down more than 10 significant sculpture works in this lushly landscaped desert oasis that reveals water features and rock benches along its winding walkways. Admission is free.